Nineteen-year-old Aaron 'Silencer' McKenna has made a winning start to 2019 with a unanimous points' victory over American Loretto Olivas at Fantasy Springs Resort, Indio, California. McKenna now moves to 7-0 in his professional career. The Smithborough boxer dominated the contest against the 26-year-old New Mexican-born welterweight who had a 3-0 pro record going into the contest. Olivas was on the canvas early in the first round but beat the count. Subsequently, he shipped a lot of punishment during the six-round bout. Though Olivas survived, McKenna achieved a shut-out 60-53 verdict on all three judges' cards. Meanwhile, Athy's Eric Donovan outclassed Stephen McAfee in the National Stadium to win the Irish featherweight title. The Kildare southpaw who endured a nightmare 2018 due to hand and shoulder injuries - the latter required surgery - bounced back in style to take his first Irish professional belt live on TG4. The 33-year-old, who is trained by Olympic silver medallist Kenneth Egan, oozed class and repeatedly punished McAfee. The challenger eventually succumbed to a perfect body shot early in the fourth round. Donovan, now unbeaten in his nine pro fights, is aiming for the European featherweight title, currently held by veteran Spaniard Kiko Martinez. 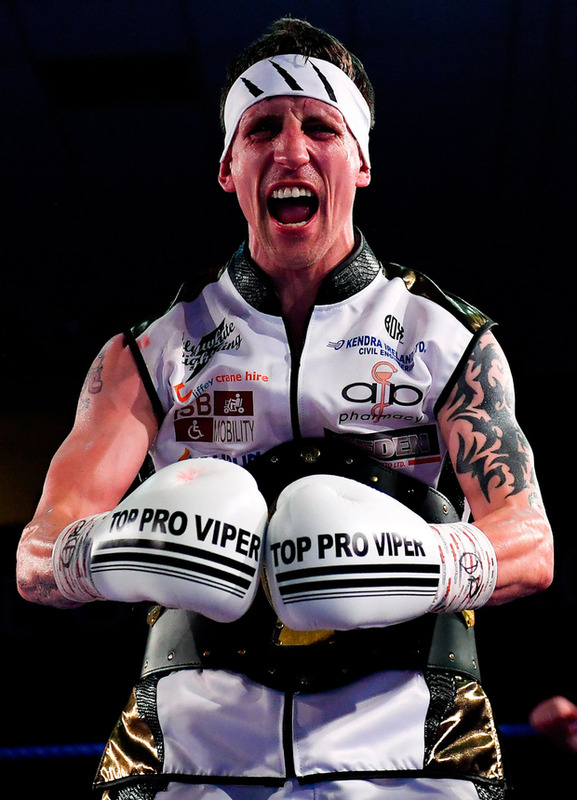 In the chief support bout on the Clash of the Titans show, Victor Rabei retained his BUI super lightweight Celtic title on points against Jake Hanney, who lacked sharpness after a two-year absence from the ring. It was a memorable night for the Phelan family from Kildare. Allan Phelan stopped Aidan Metcalfe, whose trainer Phil Sutcliffe threw in the towel after his fighter was down twice in the sixth round. The winner though was ineligible to lift the vacant BUI Celtic super featherweight title because he half a pound over the weight limit. Earlier, Phelan's younger sister Katelynn, Ireland's youngest female pro boxer at 18, made a winning debut, outpointing Poland's Monika Antonik over four rounds.